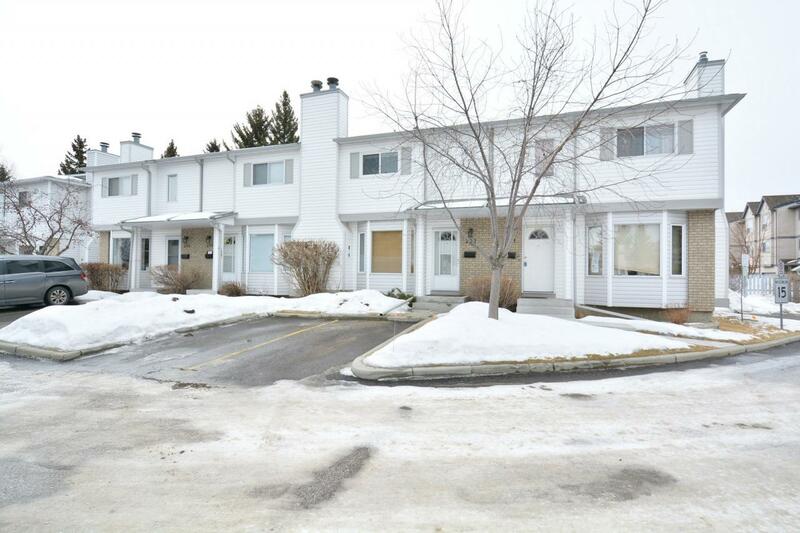 Wow – Don’t miss out on this Beautifully Renovated, Clean, Bright, well cared for 3 bedroom 2 1/2 bath unit with a Fully Finished Basement. Cedarwood Park is in the heart of Cedarbrae – A quiet complex with no thru traffic. This home was completely renovated in 2010 with new kitchen, granite, European style cabinetry, newer appliances, newer furnace + Hot water tank (2013), and hardwood flooring on the main and upper as well as all new windows on the upper level (2014). The South facing back is well treed and allows for an abundance of natural light while keeping your privacy. Parking stall 113 is directly outside the unit and the current owner rents an additional stall from the board ($25/month) for the last 12+ years. Close to shopping, amenities, transportation, and down the street from a huge park! This truly is a wonderful location. Be sure to click the links for additional photos, virtual tour, and information. Be sure to book a private tour of this turn-key move in ready home!